Durham Happenings! Live, Work, Eat and Play! I love sharing GOOD news about Durham! Here we grow again! Take a look at the following New Restaurants, Distilleries, Hotels, Businesses, Places to Live and Accolades! Let's Dish since Durham was named Tastiest Town in the South! The Durham Hotel - 54-room boutique hotel targeted to open by May 2015 in the former Mutual Community Savings Bank building at 315 E. Chapel Hill St.
Jack Tar Hotel- Will Open 2016. Previously known as the “Oprah Building”, was built in 1962. It sits on the edge of CCB Plaza. 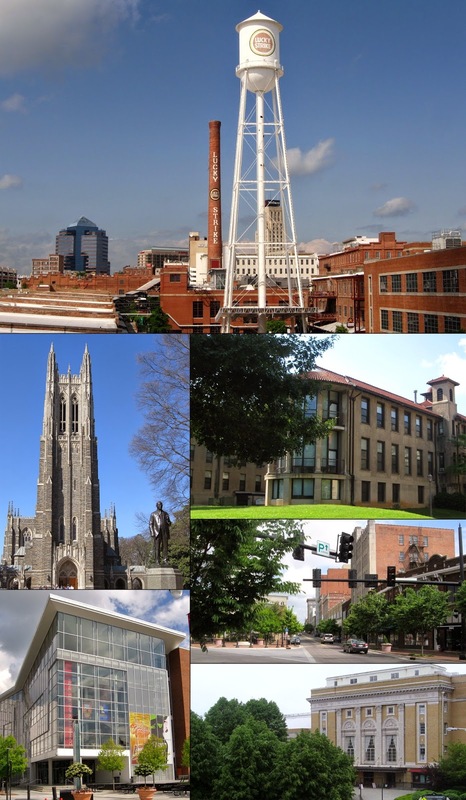 Where to Live in Durham? Call Stacie 1st at 919-475-9460! Full Frame Film Festival April 9-12th! Take a look at the following details and links for FREE Screenings and tips to enjoy Full Frame Film Festival! 49 NEW DOCS and 21 Invited Program films including 11 World Premieres, 13 North American Premieres, and two U.S. Premieres. The Full Frame Tribute, presented to Oscar®-nominated filmmaker Marshall Curry, and featuring many of his films. "The True Meaning of Pictures," our Thematic Program, featuring six carefully selected films curated by esteemed filmmaker Jennifer Baichwal. Three thought-provoking Center Frames: 3 1/2 MINUTES, the World Premiere of HARRY & SNOWMAN, and BLACK PANTHERS: VANGUARD OF THE REVOLUTION, featuring extended Q&As with film directors and subjects. Free screenings including our Closing Night Film, SUNSHINE SUPERMAN, and free indoor and outdoor screenings of DINOSAUR 13 and LOVE IS ALL on Friday and Saturday nights. Outdoor screenings take place at Durham Central Park, and feature Food Truck Round-ups before the films start. The A&E IndieFilms Speakeasy Conversations, stimulating panel discussions about topics relevant to today's documentary community, featuring leaders of the documentary field. And much much more! Full Frame is where the documentary community comes to see and share in each other's work while experiencing amazing Southern hospitality, all in the heart of downtown Durham, Don't miss out on this chance to see incredible films, meet fascinating people from all over the world, and partake in our area's coolest cultural event! Click here for the weekend's schedule.